Shooting at ground level offers many advantages over treestands, but there are several strategies you must employ. 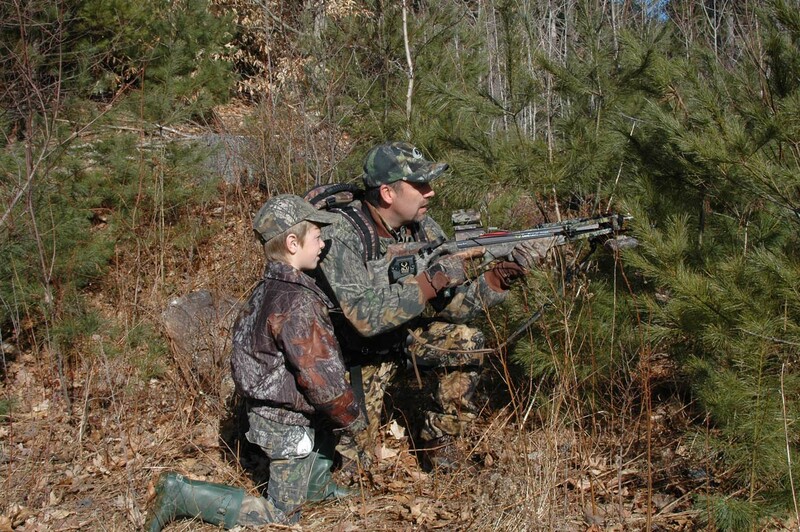 Treestand hunting is the most common method for bowhunters. An elevated perch offers greater visibility, allows you to move in the presence of deer and helps with scent-control. Bowhunting on the ground is more difficult, but it certainly is not impossible. Following are the advantages and factors to consider for optimal success. When hunting on the ground, you can change locations with a minimum of effort. You can also make a quick switch to still-hunting or stalking deer. If you choose to sit still, a ground blind may be advantageous. You can fashion a makeshift blind from vegetation and fallen branches or camo cloth. As an alternative, you can use a portable pop-up blind. In either case, it’s a good idea to set up your blind well in advance of when you hunt so that the deer can become accustomed to it. This is even more critical when hunting on the ground. Be meticulous with your odor—suppressing soaps, sprays and clothing—and always be mindful of the wind. This is also of great importance, particularly if you are not using a blind. Camo can be enhanced by wearing a 3-D “leafy” suit. Always move slowly, and try to move when game is distracted or looking away. This entry was posted in Uncategorized and tagged camo clothing, Crossbow hunting, hunting, hunting on the ground. Bookmark the permalink. I was just readin about tree stands and ground shooting on a crossbows forum. Personally I don’t mind which I do although shooting on the ground makes me feel like i’m that bit better when I get a shot because you are on the same level as the target giving a sense of being equal .